This year we have had to look at changing our ice cream vans in order to keep within the Euro 3 regulations governing the emissions for particulate matter. This regulation will effect large vans and minibuses that are Euro 2 or below. This is because we are based within the effected area of London that will have the new regulations imposed as from January 3rd 2012. The alternative is not to change the vehicle and pay £100 per day or if you are in the London emmision zone prior to and after midnight then you would have to pay £200. Other alternatives are to add a very expensive filter, convert to gas or certify an eligible engine. I and many ice cream vendors that I know had looked into all options. After careful consideration most local ice cream vendors that I know had decided to sell their vans and to convert another ice cream van.We have also chosen to sell and convert a new ice cream van from Whitby Morrison. We sold our Ford transit ice cream vans to companies based outside the emmision zone and have ordered a new Cummins Mercedes Sprinter, to be completed early February 2012. This new conversion will have a balloon man interior, four double lid freezer, scoop chiller, Van Uno ice cream machine, passenger seat layout, twin door chiller, cone rack and a double electrical socket. 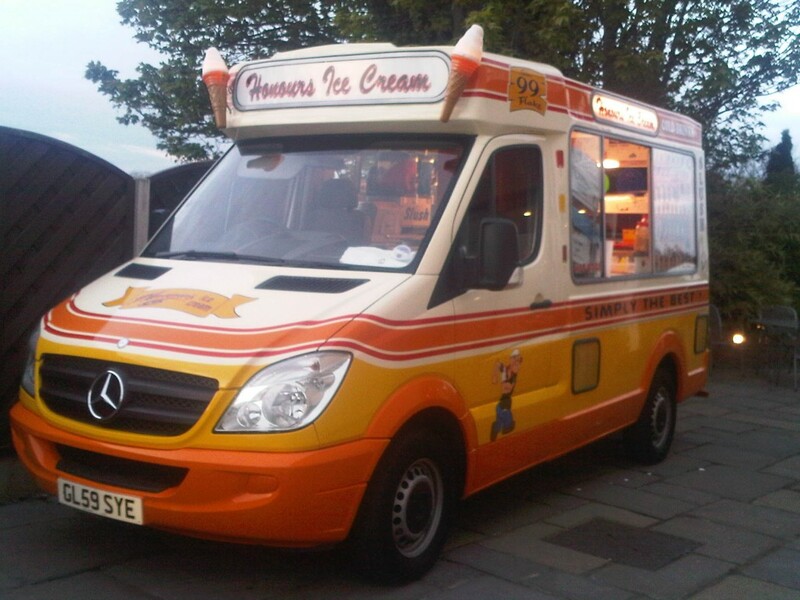 The new ice cream van is Euro 5 compliant and is a Mercedes Sprinter short wheel base conversion. 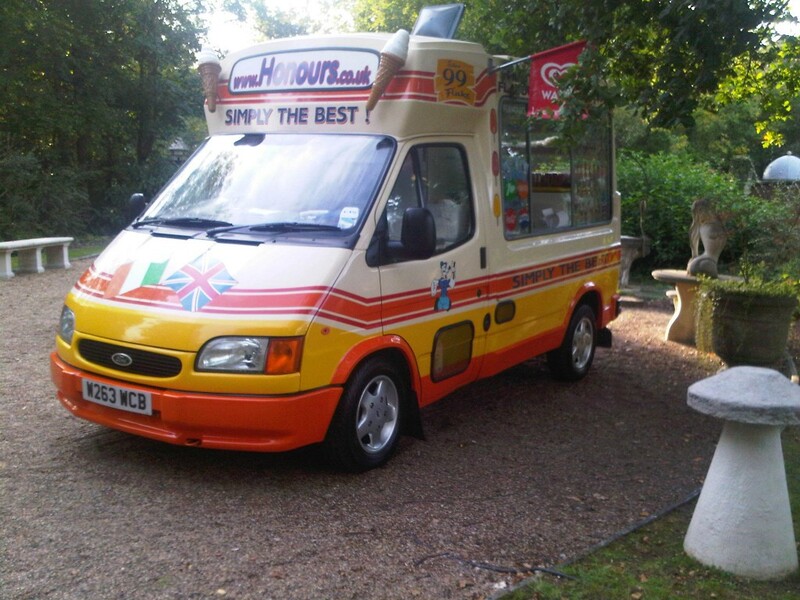 Honours Ice Cream vans are available for all parties and special celebrations! We keep all our ice cream vans in top condition, Our aim is to please our customers with a great selection of ice creams, friendly professional service and immaculate well kept attractive vans. Our ice cream van hire service is an all inclusive one price with no surprises. Trust and transparency is paramount and what we quote is our final quote! Our aim is to grow our custom base on a sound platform, being a small family business we find it second nature to have pride in our work and stride to offer the best in quality products, competitive rates, reliability, presentation whilst always being flexible to your individual requirements! Ice cream vans available for your special occasion, corporate ice cream van hire, staff party, promotional and corporate hospitality all catered for. We have some very interesting and detailed information on the history of ice cream vans in to the UK on our history page. This entry was posted in General on December 30, 2011 by Onur.